Although bathrooms can be small spaces, they are substantial investments in your home. Bathrooms should provide not only functionality, but beauty and comfort for both homeowners and guests. An ideal bathroom design incorporates functionality, comfort, and beauty, regardless of age or mobility. Prioritize the space: When remodeling a bathroom, remember to establish what areas are best suitable for specific tasks. Plumbing, outlets, and ventilation are all key elements to a high-functioning bathroom. Consider adding outlets for hairstyling products, or adding ventilation close to the shower. However large or small your bathroom may be, it is still important to address which areas are most used, how, and by whom. Smart storage: Bathroom designers should consider the specific needs and storage requirements of you and your guests to ensure the bathroom to feel spacious and organized. For example, the area next to where you apply makeup or shave may need hidden drawers or a built in cabinet. Children’s bathrooms may require space for bath toys or step stools. Use easily accessible strategies: Barrier free showers, slip-resistant flooring, and lever-style door handles are safe and simple. Planning ahead to make bathrooms comfortable and accessible may also help save money in the long-run. You can have comfort by knowing that these implementations will last, and there is no need to remodel again. Consult an expert: Interior design professionals can help implement universal design methods into any bathroom space. They can plan for accessibility, the environmentally conscious, and help you implement a classic style that will not need to be replaced again in a few years. Use a variety of lighting: Lighting is a crucial component of good bathroom design, and can help improve the human experience. Task lighting should be in places used for applying make-up or in other preparation areas. Ambient lighting can create a soft look and pleasant feel to the space. 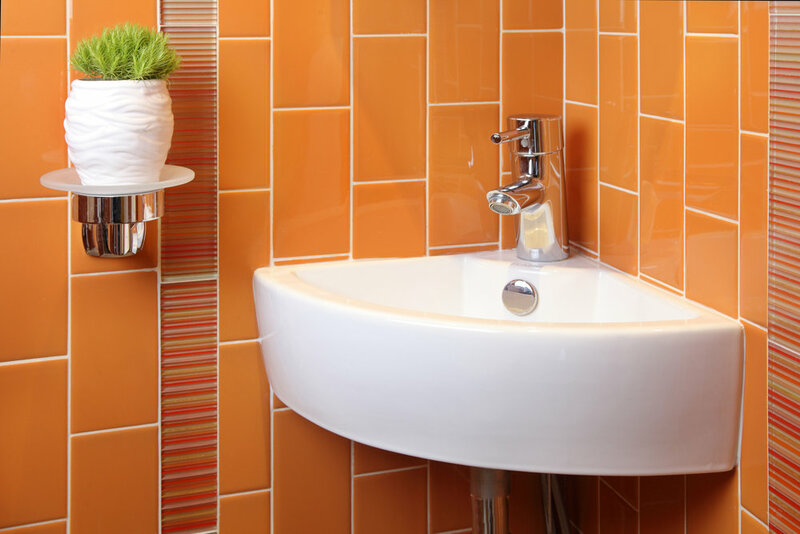 Choose the right materials: When choosing colors and materials for the bathroom, select options that are durable and easy to clean to save yourself time and headache later on. Also consider timeless materials and avoiding fads so that the bathroom’s beauty can endure. It may seem like a daunting task, but your bathroom can be a serene and healthy space with careful planing, consideration for safety and accessibility, and the right materials. Start with a clear vision and be mindful of health, sustainability, and timeless style to make the most out of your bathroom. Sarah Barnard is a member of the American Society of Interior Designers (ASID), is certified by the National Kitchen and Bath Association (NKBA), and is recognized by the International WELL Building Institute as a WELL Accredited Professional (WELL AP), the International Institute for Bau-Biologie & Ecology as a Building Biology Practitioner (BBP) and by the United States Green Building Council as a Leadership in Energy and Environmental Design Accredited Professional (LEED AP). She has served on the Santa Monica Conservancy's board of directors and specializes in sustainable interior design, health and wellness and historic preservation.